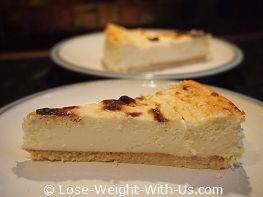 I really love this low carb lemon cheesecake recipe. 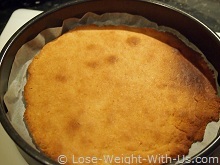 This sugar free baked cheesecake recipe is pretty much like a traditional one. 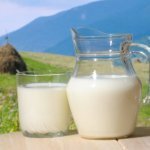 There are 327 calories and 3g of net carbs in one serving. 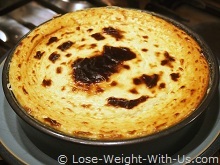 Recipe Nutritional Profile: Low in Carbs, Low Sodium, High Protein, Low GI, Vegetarian, Good Source of Vitamin A. To your taste: stevia or any other carb and calorie free sweetener of your choice. 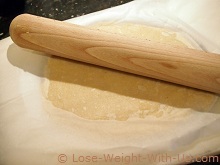 Mix ground almonds, butter, sweetener (to your taste) and 1 egg white together to make the dough. It can be done either manually or in a food processor. 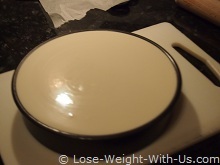 Place the dough in between two sheets of non-stick baking paper and roll out to fit your 20 cm (8") spring-release baking dish. 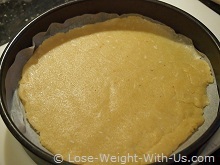 Put the dough into the baking dish together with two sheets of baking paper, press the dough in place though the paper and then peel off the top layer. Bake the dough for 10 - 15 min until golden in color, take it out from the oven and reduce the heat to 180C/350F/gas mark 4. 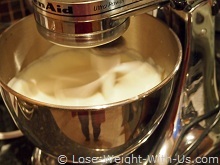 In a food processor beat the cream cheese until creamy then add the egg whites, water, lemon peel and sweetener of your choice. It is very important to taste if it is sweet enough. Also, baking will diminish the flavor a bit. If you are using stevia, remember that the strength varies in the different types available, 2 tsp. pure stevia powder should be enough for this. Pour the filling on top of the almond base and return the baking dish into the oven for 1 hour, until it is set in the middle. When the cheesecake is done, switch off the oven, open the door and leave the cheesecake to cool down. Then refrigerate until required.